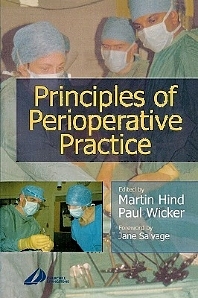 Framework of Perioperative Care. Principles of Safe Practice in the Perioperative Environment. Education for Practice. Perioperative Communication. Quality Assurance in Perioperative Care. Perioperative Risk Management. Accountability and the Law in Perioperative Care. Ethical Issues in Perioperative Care. Changing Roles/Titles in the Perioperative Environment. Evidence Based Care in the Perioperative Environment. Budgeting. Information Technology. Recruitment and Retention Issues. Excellence in Perioperative Practice.